amber! 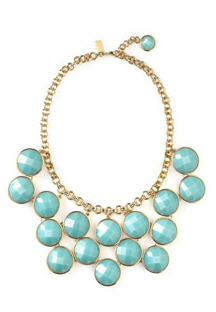 i saw olivia newton john wearing this kate spade necklace on glee. yep. thats all i have to tell you.